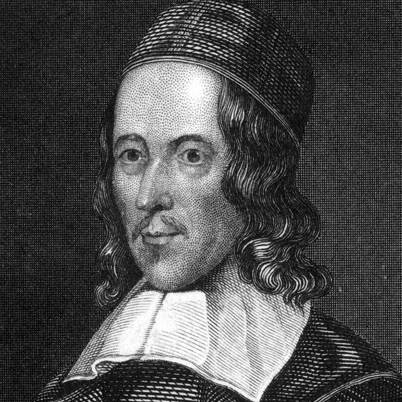 George Herbert was a famous Poet from United Kingdom, who lived between April 3, 1593 and March 1, 1633. He became only 39 years old. He was an English author who at the side of John Donne and Andrew Marvell is considered one of the most prominent of the metaphysical poets. 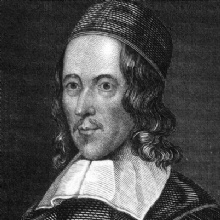 George Herbert was born into a wealthy, educated family. His father died when George was three years. Mora was a friend of John Donne. Among the four siblings are his poet and philosopher Edward Herbert known. Little is known about the early years of Herbert. He studied theology and philosophy at the University of Cambridge, and was closed for public examination Orator at Cambridge University. In 1630 he was prestevigd. In his poetry suited Herbert practical spoke only to religious themes which he treated from a very personal point of view, and neither from an abstract or telologisk standpoint. He died of tuberculosis 1 March 1633 in Bemerton, Wiltshire. He is born under the zodiac aries, who is known for Active, Demanding, Determined, Effective, Ambitious. Our collection contains 45 quotes who is written / told by George, under the main topics: Humor, Legal, Men. "Skill and confidence are an unconquered army"
"There would be no great men if there were no little ones"
"There is great force hidden in a gentle command"
"Do not wait; the time will never be "just right." Start where you stand, and work with whatever tools you may have at your command, and better tools will be found as you go along"
"He that is not handsome at 20, nor strong at 30, nor rich at 40, nor wise at 50, will never be handsome, strong, rich or wise"
"He that hath lost his credit is dead to the world"
"He that cannot forgive others, breaks the bridge over which he himself must pass if he would ever reach heaven; for everyone has need to be forgiven"
"He hath no leisure who useth it not"
"Good words are worth much, and cost little"
"Drink not the third glass, which thou canst not tame, when once it is within thee"
"The mouse that hath but one hole is quickly taken"
"The eyes have one language everywhere"
"The devil divides the world between atheism and superstition"
"The buyer needs a hundred eyes, the seller not one"
"One sword keeps another in the sheath"
"One father is more than a hundred schoolmasters"
"One father is enough to govern one hundred sons, but not a hundred sons one father"
"None knows the weight of another's burden"
"Night is the mother of counsels"
"Never was a miser a brave soul"
"Many kiss the hand they wish cut off"
"Love and a cough cannot be hid"
"Life is half spent before we know what it is"
"It is part of a poor spirit to undervalue himself and blush"
"In conversation, humor is worth more than wit and easiness more than knowledge"
"If a donkey bray at you, don't bray at him"
"Hell is full of good meanings and wishings"
"He that will learn to pray, let him go to sea"
"Deceive not thy physician, confessor, nor lawyer"
"Dare to be true. Nothing can need a lie: a fault which needs it most, grows two thereby"
"Better never begin than never make an end"
"Be thrifty, but not covetous"
"Be calm in arguing; for fierceness makes error a fault, and truth discourtesy"
"A man of great memory without learning hath a rock and a spindle and no staff to spin"
"A lean compromise is better than a fat lawsuit"
"A gentle heart is tied with an easy thread"
"There is an hour wherein a man might be happy all his life, could he find it"
"The shortest answer is doing"
"The resolved mind hath no cares"
"Sometimes the best gain is to lose"
"Throw away thy rod, throw away thy wrath; O my God, take the gentle path"
"Storms make the oak grow deeper roots"